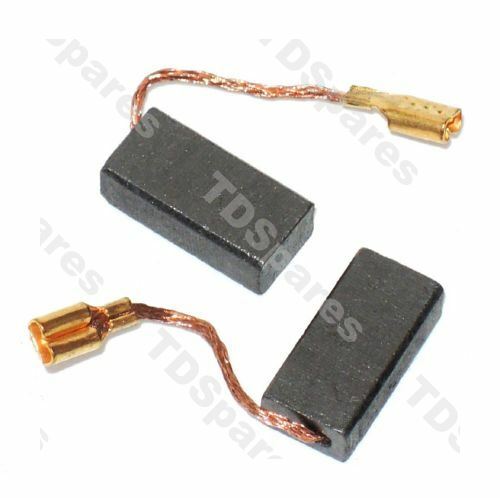 High quality pair of electric motor carbon brushes suitable for various BOSCH power tools such as Disc Sander, Angle Grinder & Biscuit Jointer. If your motor only starts intermittantly or you have to give it a bit of knock to get it going, then you may have a worn out motor brush. Always change BOTH brushes at the same time! NOTE- To ensure model fitment, please compare the cross section dimensions of one of your old brushes with the sizes given above, ignoring the length.